Your Slip and Fall Attorney, Robert E. Gluck is committed to helping injured clients receive a settlement for their injuries. A slip and fall can happen in any type of building and can result from numerous incidents. For example, you could experience a slip and fall from slipping on wet or uneven surface, or from using a damaged product. 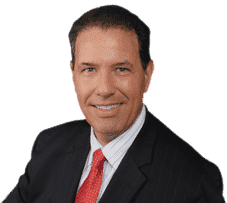 Robert E. Gluck will serve as a strong voice for you throughout your case. He will try to prove negligence so that you can have the opportunity to receive a settlement. An exceptional Slip and Fall Attorney will fight hard to protect your rights and make certain you are always treated with respect. Robert E. Gluck will do this and much more. He will fight aggressively for your legal rights and will pursue your case with solid determination. Once he has been able to prove negligence, he can open a full investigation into your accident. The guilty person will be held responsible for your injuries and will have to pay for your medical bills. Negligence happens when a reasonable person fails to use standards care and it results in injuries. Your Slip and Fall Attorney, Robert E. Gluck, will greatly improve your chances of winning your case. Research shows when an injured person has legal representation, there is a higher chance of getting a settlement. Robert E. Gluck will assist you to recover damages. Hire Robert E. Gluck, your experienced slip and fall attorney to receive powerful representation. He will provide you with the legal guidance and emotional support you need to get through this challenging time in your life. As an experienced Slip and Fall Attorney, Robert E. Gluck, knows how to win a case, but in order to win you need to have the right evidence. He will speak with witnesses about your accident and get their written statements from them. He will take pictures of the accident scene, obtain video footage, and any other useful information he can find. Robert E. Gluck will use all the information he finds to build you a strong case. You can count on Robert E. Gluck for powerful representation.